Last week Perth Chamber Orchestra performed a candlelight concert at St. George’s Cathedral to a capacity audience. The music of Vivaldi, Gregori, Caldara and Scarlatti ‘remixed’ by Australian composer Joe Chindamo were brought to life by a 14-piece PCO and soloists. The atmosphere was set by an abundance of candles, candleabra and perhaps surprisingly, some brand new LED lights, recently purchased by Perth Symphony as the result of a generous contribution from BHP Billiton. 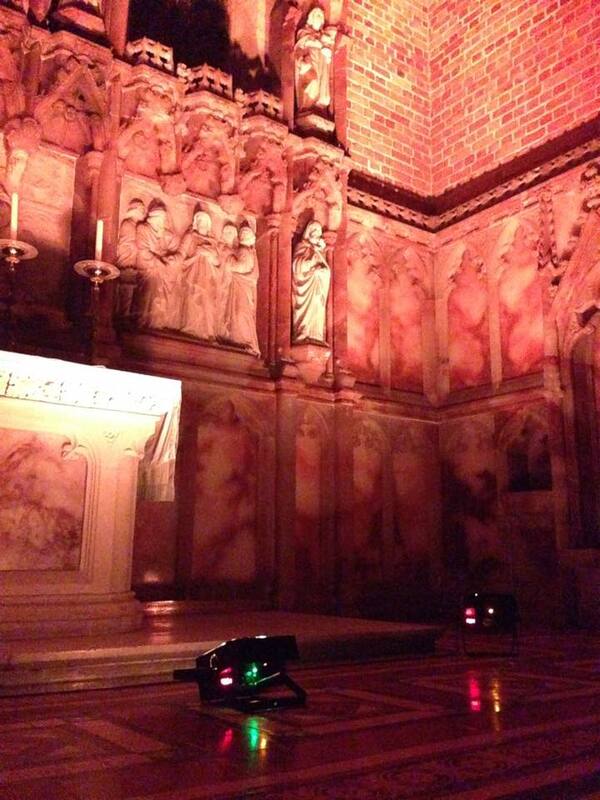 The new LED lights subtly changed between orange, red and yellow hues, adding to the most incredible atmosphere in the cathedral. Concert goers were immediately transported from the bustling St. Georges Terrace to 1600s Venice as soon as they set foot inside the cathedral. We have received an incredible amount of feedback so far from the concert, all overwhelmingly positive – we must be onto something good here! Missed out? Read a wonderful review of the concert on ArtsHub HERE. A highlight of the night was the Caldara, with all the lights dimmed to a deep red and soprano Brianna Louwen singing flawlessly over the reduced string section. During Boccherini’s popular ‘Nights of Madrid’, musicians plucked their instruments (violin and celli) as they made their way down the centre aisles of the cathedral to the ‘call’ of Paul Wright, on his Adelaide Guadagnini violin. We at Perth Symphony are incredibly grateful for everyone who helped to make this event possible. First of all our musicians – for being so open to our crazy ideas (not many of them had been asked to play in Venetian masks before! ), the teams at Comestibles and Barton Jones Wines for the tasty eats and drinks, St. George’s Cathedral and of course, our partners, in particular Foundation Partner AHG, SevenWest Media and Scotch College.